And with easy, I mean really easy. 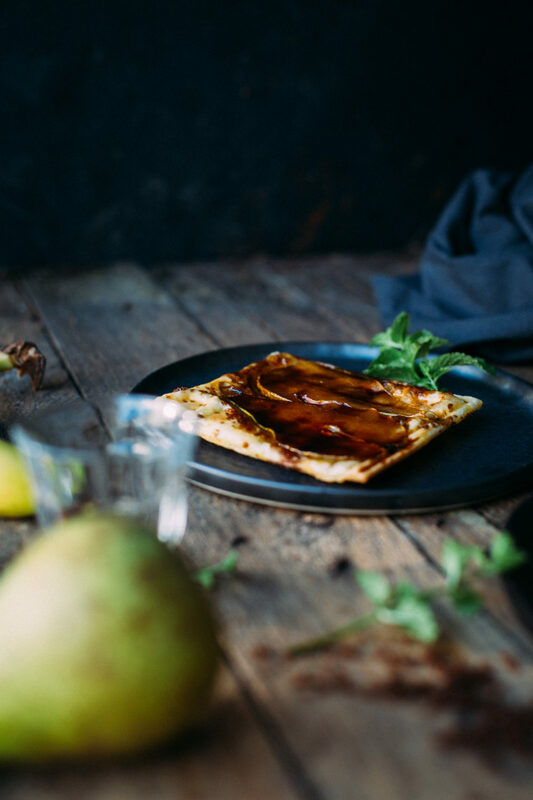 Tarte tatin, one of my favourite dessert dishes, especially when you make it using pear. Add a scoop of ice cream on top of it and you have a delicious fulfilling dessert to surprise your guests. 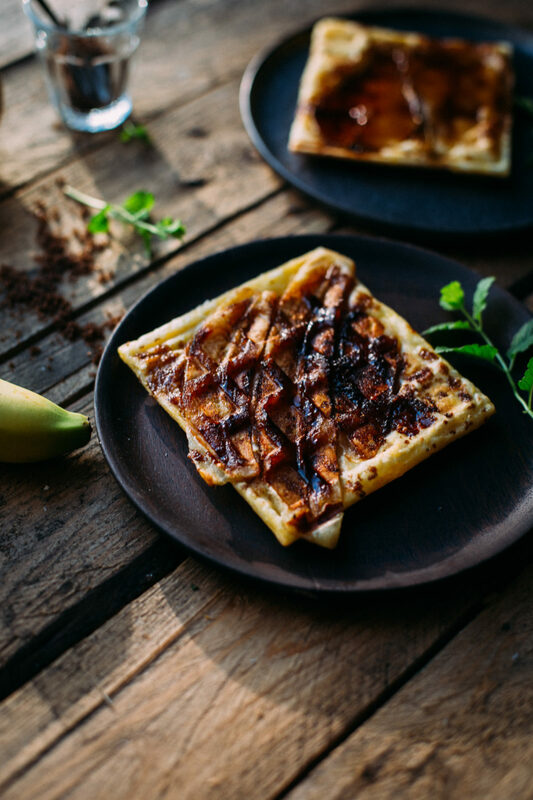 And with easy I mean just 3 ingredients and your waffle iron to make this one. Let’s get waffling! Grease your waffle iron with some oil and heat up until warm. Slice the pear and banana in long thin slices. 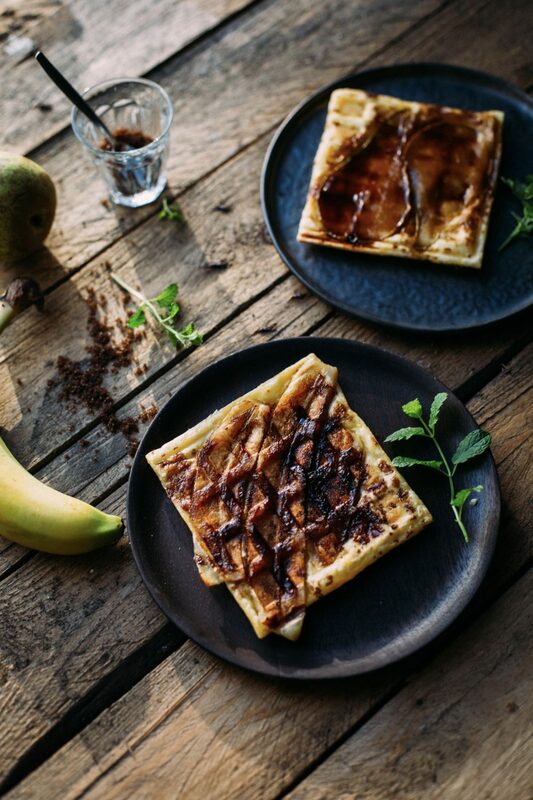 Place the puff pastry on the waffle iron with the fruit and sprinkle with sugar. Carefully close the lid, don’t press too hard. The added heat will gently push the waffle iron down by itself. If you close the lid yourself you have the chance it sticks to the top side. When crispy and brown remove from your waffle iron and serve warm with a scoop of ice cream. Enjoy!